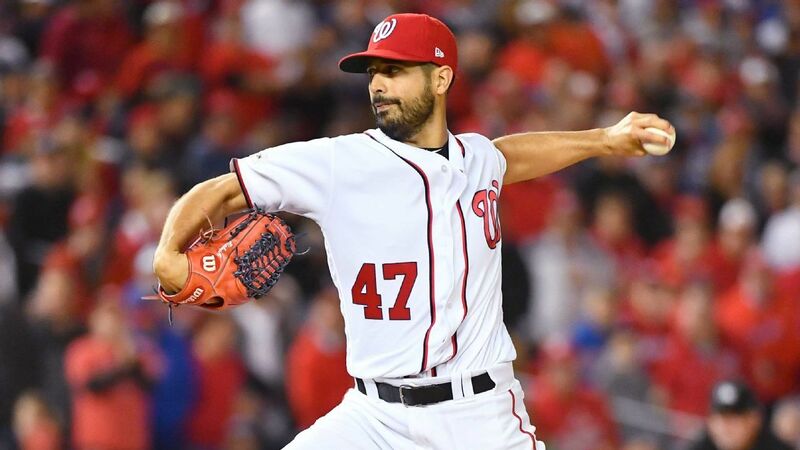 The Milwaukee Brewers have taken over the left kicker Gio Gonzalez from the Washington Nationals, a source that has confirmed ESPN's Jerry Crasnick. Gonzalez has fought this season with a 7-11 record and a 4.57 ERA in 27 starts. He has a 6.53 ERA since the beginning of June, the 73 out of 74 qualifying starters in this period, ahead of only the Bartolo Colon of the Texas Rangers (7.01). Veteran left-hander Xavier Cedeno was traded by the White Sox to the Brewers for two prospects. The Los Angeles Dodgers have stepped up their bullpen and acquired right-handed Ryan Madson from the Washington Nationals for a minor league pitcher. The veteran has a 6.75 ERA in five career starts at Miller Park, including a 9.82 ERA in three starts there in the last three seasons. Nevertheless, the Brewers hope he can help them catch the Cubs of first place in the NL headquarters. Milwaukee played five games behind Chicago on Friday night. Gonzalez spent his last seven seasons in Washington and ranked first in the franchise history in Winnings (86), WAR (21.4), and Strikeouts (1,215). The two-time All-Star is 124-97 with a 3.71 ERA in 11 major league seasons overall. He is the second pitcher to be acquired on Friday from the Brewers, who currently hold one of the two National League Wild Card Spots. Earlier in the day, Milwaukee acquired left-hander Xavier Cedeno from the Chicago White Sox. The Nationals also handled right-handed Ryan Madson to the Los Angeles Dodgers on Friday.